The angel Hamied is the angel of miracles. When referring to the term “miracle”, we do not mean a biblical miracle, which only God can perform. We are referring to an unlikely event, such as an unexpected promotion at work, finding true love, winning a prize, or any other unlikely event that happens when we least expect it. Miracles are part of our daily lives, and they happen in different forms, ways, and dimensions. The angel Hamied wants us to be aware of the possibilities of experiencing miracles.Miracles aren’t in short supply. Miracles are readily available to those who are willing to receive them. These days, our ability to see miracles becomes clouded as we move through our day-to-day lives.The never-ending flow of bad news and unfortunate events from television, the internet, and negative people in our environment can push us to dark corners filled with anxiety and depression. When it comes to the angel Hamied, the “dark corner” is the worst place to be. His greatest strength is creating miracles and providing us with unexpected positive events. This will work only if we let in the light. “Letting in the light” happens when we are focused on the positive and good things in our lives. Negative thoughts close the door to experiencing the ever-abundant and present miracles that this angel seeks to bring our way. 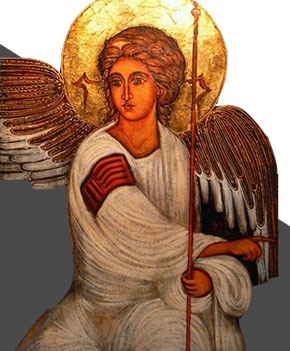 People whose guardian angel is Hamied are categorized into two groups: the dark-corner people and enlightened people. Those in the dark corner rarely feel his presence. They often ignore the fact that angels exist, while maintaining the belief that the world is a cold, dark place. When these people find a path to optimism and happiness, the angel Hamied is there to make beautiful miracles happen. These people are then transformed into enlightened people. They let in the light. Most successful people are protected by the angel Hamied. They let in the light, and they believe that great things are happening to them.